I have been to Nublu many times before - usually with my friends for a cup of coffee, or those scrumptious milk shakes they serve there - and I knew that it was primarily a bookstore but the upper floor was not turned into an antiquarian bookstore until recently. After a friend had reminded me of it, I've decided to pay another visit to Nublu. The ground floor's selection consists of new books, all of which are in the Serbian language. Foreign visitors may find it useful for it sells maps. But the upper part, however, is, as I mentioned before, an antiquarian bookstore selling second-hand books on various subjects. Their foreign language section is not as large as one may presume: there are some two shelves packed with books in English, Italian, Hungarian, French, Russian, and I even found one or two in Norwegian. The other downside (apart from the scarce foreign book section) is that some of the books in those languages can be found among the books in Serbian - that can only mean that you have to be persistent and spare at least an hour browsing through. The bookstore also has a good selection of dictionaries - especially useful for those who wish to study Serbian. 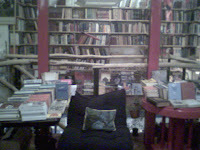 Another thing I quite liked about the bookstore was its atmosphere. Two cozy armchairs to relax in while you're reading. They also have some magazines, most of which are in Serbian but you can also find some in English and Italian. 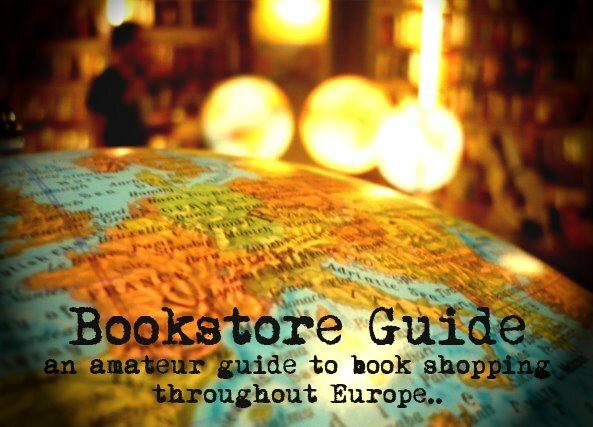 All in all, it's definitely a place to browse through, especially if you're a bookworm. Oh, and the prices are quite acceptable for a store of its kind. Café with a bookshop - or a bookshop with a café: depends on what you prefer. With a great relaxing atmosphere, Nublu is a place recommended for book browsing and day-time leisure. The café works until 23 hours. I divni su ljudi koji rade. Svaka pohvala! !